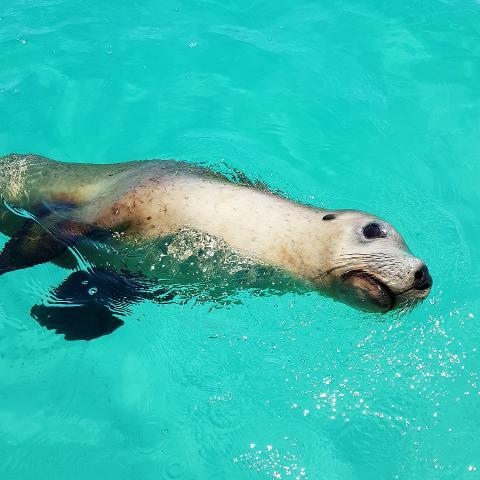 Let us take you out to meet the Australian Sea Lions off Jurien Bay; you can join the tour as a Snorkeler or Non Snorkeler. Sea Lion sightings are guaranteed. 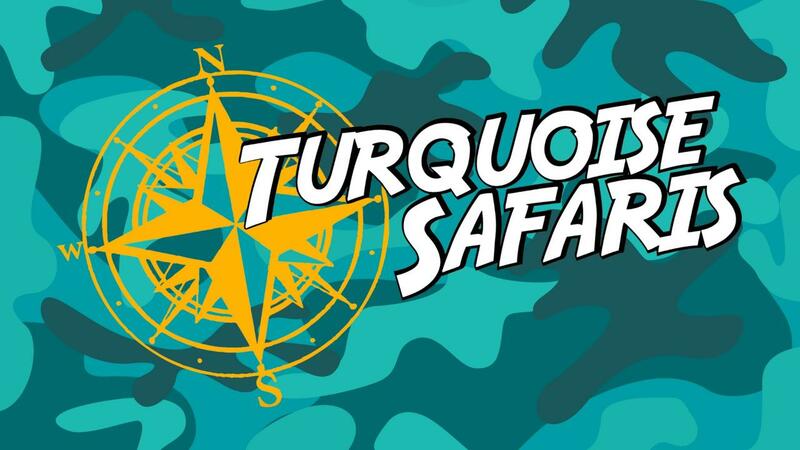 Turquoise Safaris offers an authentic offshore Eco adventure specialising in smaller, more personalised groups exploring the Jurien Bay Marine Park and is operated by a Jurien Bay Local with the knowledge to ensure you experience the best the area has to offer. All equipment including wetsuits is supplied, we have snacks, light refreshments and sunscreen on board also. Price per snorkeler is $99, $75 per Non Snorkeler and Children under 12 years of age. Infants under 2 years travel free. The minimum number of people required is 2, the maximum we carry is 12. We allow 2.5 hours for each sea lion tour. We meet at the Jurien Bay Boat Harbour off Harbour Drive, 'Sound Waves' will be parked up at the floating pontoon behind the information bay. Please be at the Harbour 15 minutes prior to departure of the trip. Charters run daily depending on weather conditions. Any Safaris cancelled by us due to unforeseen circumstances will either be rescheduled or fully refunded. A Cancellation Fee of 50% of the full price applies to all Sea Lion Tour cancellations received less than 48 hours before departure of the trip.